This year was an important year for home renovations. Alas, 2016 was speckled with economic and political events that affected homeowners across the country. Mortgage qualification rules tightened and potential housing bubbles emerged. By the middle of 2016, economists expected renovation spending to rise. One Canadian economist, Gregory Klump, suggested that limited housing supply and strong competition made home renovations seem like a more feasible option than buying property this year. In 2015, Canadians spent more than $71-billion on home improvements. This year, renovation spending was forecasted to grow by 1.9 percent nationwide. Although Statistics Canada has yet to release their 2016 data, TrustedPros has insight on Canadian home improvement trends and spending for 2016. TrustedPros has compiled data from over 2 million users to create a list of top ten home improvement projects per province, and average budgets for popular projects as well. A visual breakdown of the top 10 home improvement projects in Canada. Bathroom renovations comprised 18% of all submitted projects on Trustedpros.ca. Basement renovations were a close second, at 15%. The results are in! The top projects for each province include bathroom renovations, basement renovations, and deck construction. Despite the hype over energy efficient products, window and door upgrades were the lowest ranking home renovation on our top ten list this year. Understandably so. On average, window and door upgrades can cost $8,522! This project is particularly expensive given that windows and doors add little to change a room's appearance. On average, Alberta and Manitoba homeowners were willing to budget $9,288 for their window and door installations. A homeowner should expect to pay between $7,200-$14,000 to replace 9 middle and upper-level windows in their home. Manitoba and Alberta homeowners budgeted accurately this year. However, Saskatchewan ($6,200), Nova Scotia ($4,025), and BC ($6,404) had low budgets for 2016. This year, Canadians across the country budgeted $8,522 for window and door installations. This is a fair budget; however, slightly raising the budget would be a good idea. Pro Tip: Window installations are very complicated. They involve a number of specific steps. If mistakes are made, you could end up with a damaged window, a leak, or worse. Hire a pro! Canadians weren't keen on re-doing their roof in 2016; the numbers were better in 2014. Nevertheless, roof improvements still made it to our top ten list this year. On the bright side, homeowners who took on a roofing project will be ready for this harsh winter. Always remember to ask your roofer about their WSIB insurance and verify it with your provincial board. A cost estimate for a new roof is difficult without any project specs. There are several factors that affect price including roof slope, size, valleys, and condition, as well as desired materials and garbage disposal. Professionals suggest that a 2000 ft2 home roof replacement can cost about $4,500 and above. Alberta and Ontario homeowners had an appropriate budget for the project this year ($5,923). Saskatchewan ($3,000), Newfoundland ($3,000), and New Brunswick ($3,000) homeowners budgeted too low this year. This year, Canadians budgeted $4,906 on average for roof installations. This is a great target. Pro tip: Inspect your roof when it is 15 years old, and replace an asphalt roof every 20-25 years. Install a new roof if you experience leaks in the home, witness shingles curling, find granule loss, or see moss or plant growth on the roof. Floor laying making it to the top ten list is no surprise to us! Although it wasn't at the top of our national list, new flooring projects were most popular in Ontario and Prince Edward Island. Floor installations are a fabulous renovation because they have a great return on investment, and make a huge impact on the appearance of a room. The average price that Canadians were willing to spend on this reno was $3,258.10. The flooring product market is extensive. This makes it difficult to establish an average price range for floor installations. One Ontario company suggests that 150 ft2 of mid-range laminate floor would cost $928.50 to purchase and install. Ontarians budgeted $4,456 for their flooring installations this year. This suggests that Ontario homeowners have budgeted well if they wish to install 800 ft2 of laminate flooring in their home. Canadians living in BC ($3,199), Manitoba ($2,550), and Saskatchewan ($2,100) may want to increase their budget (depending on the material and project size). On average, the nationwide budget for flooring projects was surprisingly low this year, sitting at $3,258. Homeowners who wish to install hardwood must increase their budget significantly. Pro Tip: Choose your flooring materials wisely. Sometimes beautiful options are impractical for a certain environment. Moreover, be wary of laminate and engineered wood products on the market that may contain formaldehyde. Do your research! It's the first time that tiling projects have made it to our nationwide top ten list! Tiling projects are growing in popularity and it's no surprise to us! Tiles are extremely versatile. They are great for indoor and outdoor backsplashes, flooring, walls, and ceilings. Tiling projects ranked as a top three project in British Columbia this year. Tiles come in many shapes, sizes, materials, and styles. These variables affect the price of the installation. Pros from our forum quote installation labour between $5-$10 per ft2, plus materials. Tiles can range in price from $0.50-$15.00, and above. The project price depends on the size of the room, the tile material, and tile location (floor, wall, counter, or ceiling). A 100ft2 bathroom floor tiling project using good quality ceramic tiles may cost $2,000. This year, Canadians budgeted $1,558.60 for tiling projects. It would be best to raise the budget if one wishes to tile walls, or use higher-end materials. For more information on tiling projects visit our ultimate tiling guide here. Pro tip: Consult an expert on the materials before you jump into a project. Some tiles are much too porous for certain environments. Leaks can occur if the tiles are used improperly. Kitchen renovations have only made up 8% of the nationwide top ten projects. This year, Maritime homeowners in Newfoundland and PEI were more partial to kitchen renovations. Kitchen renos made it to the top three home improvement projects for 2016 on the east coast. Meanwhile, the demand for kitchen renovations dropped in other provinces such as Ontario, Manitoba, and British Columbia. It is challenging to suggest an average' price for a kitchen renovation. Pros on our Forum suggest that a kitchen renovation may cost between $20,000-$40,000. Location, project scope, and materials impact the price of a kitchen renovation. Custom finishes will increase project costs by tens of thousands of dollars. Canadians were ready to budget $14,479.10 for a kitchen renovation this year. This budget may be appropriate for those who will not buy new appliances or cabinets. This budget may be suitable for a renovation with low-end finishes and recycled appliances. Interestingly enough, provinces such as Alberta ($20,338), BC ($22,774), and Manitoba ($15,307) had the most realistic renovation budgets. Nova Scotia ($9,333) and PEI ($7,750) had the lowest and most unrealistic budgets. On average, Canadians were ready to spend $14,479 on kitchen renovations this year. We strongly recommend that homeowners invest in quality craftsmanship. This project involves complex electrical, gas, and plumbing; This project could endanger your and your family if completed incorrectly. Pro Tip: Be cautious of any contractor who gives you a price that seems too good to be true'. Some shady businesspeople will intentionally low-ball a project to get you to sign on. Then, they proceed to increase the price as the project continues. Painting home improvement projects have made it to the middle of our list this year. Professional paint jobs were most popular in Quebec and Saskatchewan. After all, painting is one of the best ways to change the appearance of a room on a budget. Although it's a common DIY project, hiring a pro is a good idea for large exteriors and for small projects too especially if you don't know very much about wall preparation. Since budgeting for a painting job heavily depends on the size of the room, it's difficult to tell if homeowners across Canada budgeted well during 2016. However, Albertans had the highest budget for painting projects ($3,543), while New Brunswick residents had the lowest budget ($1,650). On average, Canadians were willing to spend $2,080.80 on painting. Pro tip: A good painting job requires a diverse set of high-quality painting tools (rollers, brushes, drop cloths, poles, trays, etc.). If you're not prepared to invest in good quality tools, then it's best to consider hiring a professional. It will make all the difference. On average, Canadians are willing to spend $4,195 on a fence project. Service providers in Quebec, Ontario, and Alberta agree that a fair price for a new fence should be roughly $39 per linear foot. On average, Canadians were ready to budget $4,195 on fence construction. If they paid the recommended quote, their fence would be roughly 108 linear feet long. This size fence would surround roughly 3 sides of the perimeter of a 1,300ft2 backyard. Quebec residents who had the highest budget on average in Canada ($5,508) would either be able to afford a more expensive fence material, or be able to fence in quite a large backyard. We believe that Canadians had fair budgets this year, although they may be able to spend a bit less on a fence installation (especially for a smaller backyard). That's great news, given that fence construction is new on our top-ten home improvement list. New decks have grown in popularity. They are top ranking projects in three provinces: Quebec, New Brunswick, and PEI. Deck construction remains to be the third most popular home improvement project in Canada, since 2014. Rightfully so! Canadians love their patios in the summer and the winter too! On average, Canadians are willing to spend $6,609.30 on their deck project. Deck pricing depends on a significant number of factors such as location, materials, project size, complexity, height, and slope. Contractors from Ontario and Alberta on our Ask the Pros forum quoted one specific project between $18.75-$26.00 per foot. There are many factors that can affect this price; however, it is useful to remember that decks can be expensive, so it is appropriate to budget generously. Given this estimate, deck projects in Alberta ($5,236) and Ontario ($7,117) would range from 250 feet2 340 feet2 on budget. These budgets would allow for large spacious decks. The national average budget ($6,609.30) would allow for a 316.2 feet2 deck, which is quite spacious as well. Even the lowest budgeting province in Canada, Saskatchewan ($5,275), would be able to afford a spacious sized deck on budget! Pro Tip: Nails are not weight-bearing fasteners for deck construction. Keep your eyes peeled during the deck installation. Learn more about deck-building best practices here. Basement renovations are one of the best ways to maximize living space in the home, next to a home addition. A basement renovation can be quite affordable. In addition, they have a great return on investment (roughly 50 to 75 percent ROI)! Manitoba (basement renos made up 19% of home renovations this year) and Saskatchewan (basement renos made up 34% of home renovations this year) homeowners were most keen on basement renovations this year. However, this renovation was still at the top of the list in Alberta, Ontario, and Nova Scotia. On average, homeowners reported that they were willing to spend $17,785 on their remodel. Community members from Nova Scotia, Ontario, and Alberta on our Ask the Pros Forum suggest that a very basic quote for a basement could be between $35 per foot2-$75 per foot2. On average, Canadians were willing to budget $17,785 on their basement renovations. This appears to be a fair budget given the basic quote per square foot mentioned above. We suggest that Newfoundland homeowners consider increasing their budget ($7,750). This should help them improve the overall quality of workmanship, appliances, and finishes. On this budget, a homeowner would only be able to renovate 140 feet2according to industry professionals! Pro tip: Ask an expert to inspect your home foundation before you jump into a basement renovation. A leaky foundation can cause serious issues in the long run, especially after the renovation is complete. Bathroom renovations continue to reign supreme in Canada! Five out of ten provinces have bathroom renovations ranked as their most commonly searched and quoted projects this year. Bathroom renovations are fabulous projects because the return on investment is roughly 70 to 100 percent! Additionally, changes in the bathroom can help improve home efficiency and your overall bathing experience. Canadians said that they were willing to spend $7,905.80 on bathroom renovations this year. Some sources gauge that a bathroom renovation should cost between $2,000-$13,000. However, Vancouver renovation company explains that a bathroom renovation (with middle-end finishings and a few renovation surprises) should cost between $12,500-$18,000. We believe that this price range is more accurate. According to our data, British Columbia homeowners were planning to budget $10,295 for bathroom renovations the highest budget in the country. Alberta homeowners were willing to spend $9,236. Ontario homeowners were willing to spend more on their renovations too ($8,922). Things were very different in the Maritimes. Newfoundland homeowners had the lowest budget in the country ($5,267) next to PEI homeowners ($5,889). We advise Maritimers to raise their budget. This will help them account for licensed professionals and good quality materials that will last. The average homeowner in Canada was willing to spend $7,905.80 on their bathroom renovation. This budget is a bit low in our opinion. Comparing our data to industry professionals' advice, it seems that Canadian homeowners were either misled on the price of a bathroom renovation, or they were willing to spend less and get less for their renovations this year. Pro Tip: Consider installing eco-friendly and energy-saving appliances to really stretch the value of your bathroom renovation! What can homeowners do to improve their renovation expectations for 2017? New windows and doors 10. $8,522 $10,000+ Each window installation can cost up to $1,600 (not including specialty or large windows). The national budget can only afford five regular sized windows without doors. New floors 8. $3,258 $7,000+ The national average budget is suitable for a very small space with exceptionally low-end materials. It's easy to overlook the price of materials, the cost of labour, and additional work (installing a new subfloor and underpadding/insulation, for example). When renovating (especially for resale), it's best to invest in attractive, durable, quality materials. Kitchen renovations 6. $14,479 Closer to $20,000+ It takes licensed electrical, plumbing, and gas experts to install bare necessities in a kitchen. These experts come at a price. Moreover, durable, high-quality materials that withstand high-traffic are very important to invest in. Kitchens have an excellent return on investment, which should give homeowners a good reason to increase their budgets. Bathroom renovations 1. $7,905 $12,500 -$20,000+ The national budget for a bathroom renovation is acceptable under very few circumstances. This budget may be appropriate for homeowners who are giving a small bathroom (5ft x 6-8ft) a facelift, rather than a full reno. However, gutting a bathroom and installing all new drywall, insulation, and fixtures can dig into your wallet. On top of that, your contractor might find mold in the walls, which could mean an extra cost for mold remediation services. A good contractor will install proper ventilation too (this can get costly as well). Any budget under 11k is really cutting it close to an under-budget reno nightmare! Ask for multiple quotes. Asking around the community is the best way to understand the real price of your project. Ask elite professionals and smaller companies. Suggest a budget that you had in mind and inquire if it is realistic. Use our free project posting tool to do this. Stop watching home renovation reality TV shows. These shows do not portray accurate timelines or budgets. This can severely skew homeowners' perceptions of home renovations by setting unreasonably high expectations. Be realistic with oneself. Take all the expenses into account. A renovation budget should include the price of materials, labour, permits, licensing, trade qualifications, overhead, and possible project issues. Plan for a contingency fund. A 20%-40% contingency fund to cover issues that crop up will be extremely helpful in the long run. Read more about this in our Hiring Guide. Save up for a renovation. If the homeowner can wait another year and increase their budget by $5,000 or more, they may be able to recover more in the long run. 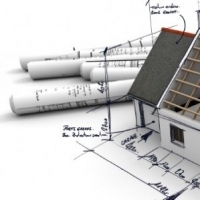 Renovating in haste with a low budget will affect the quality and return on investment of the project. Visual breakdown of the top ten projects in comparison to one another. Percent of jobs per category compared to the overall number of projects posted in Manitoba. Percent of jobs per category compared to the overall number of projects posted in Alberta.